Do you ride English? 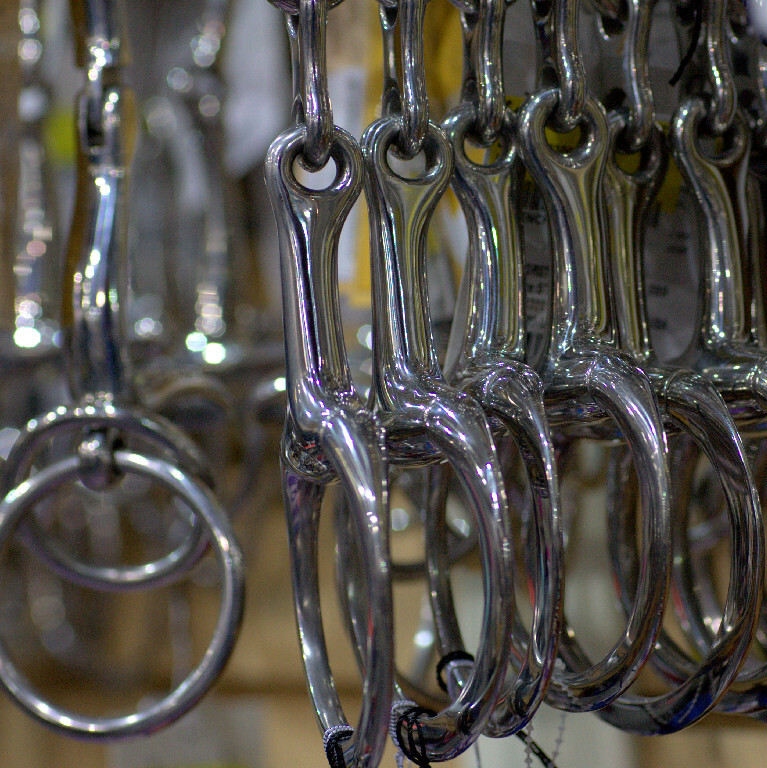 Our growing English tack department has you covered. 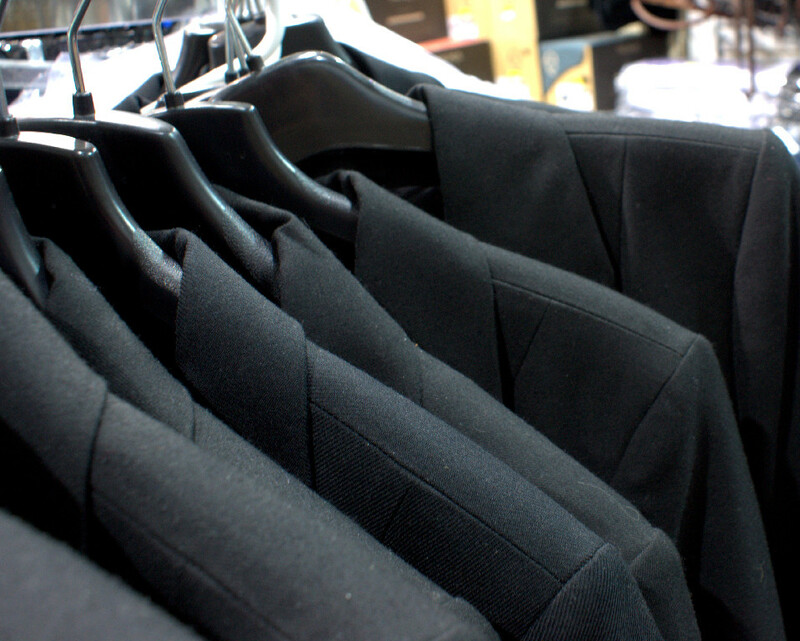 We have riding apparel for all equestrian riders and horse tack for dressage, hunter jumper, eventing horses or pleasure riding. Field and paddock boots, riding helmets, hunt coats, frock coats, breeches, bridles, bits and English saddle pads, just to name a few of the items we stock. We strive to offer only the best English horse tack and riding apparel at the most reasonable prices around. Please stop by and check us out. 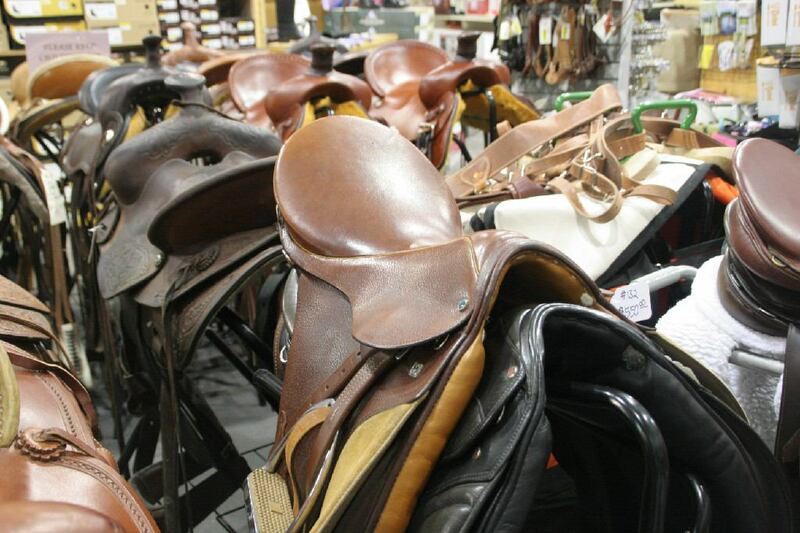 We have both western and english saddles in our tack department. Not sure what you need? We can “fit” you into a saddle that feels great and fits your purpose. We also consign saddles, so be sure to stop in and see what is on the floor, or let us help you sell that old saddle cluttering up your tack room.